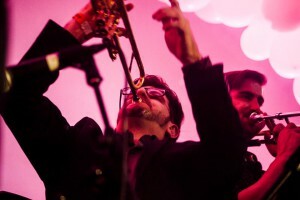 After a successful Spring providing massive horns for Lady Antebellum at the Country Music Awards; performing w/ Bonobo at Coachella and Red Rocks; assembling and directing the Music of Patrick Adams concert for the RBMA Festival NYC and rocking the Broad Stage w/ Ethio Cali (along w/ Mexico68 and Jungle Fire), Todd is ready for a massive summer. 5/25 Hodgepodge #7 feat. Houseshoes, Jimetta Rose, DJ SeanO, Kahlil Cummings, Wes Singerman, Sonido Papichampu, Tracy Wannomae and a very special killer guest! General Lee’s 475 Gin Ling Way, Los Angeles, CA 90012 FREE 9pm – ? w/ DJ Anthony Valadez 12pm – ? Los Angeles Historic Park 1245 N Spring St, Los Angeles, CA 90012, USA.